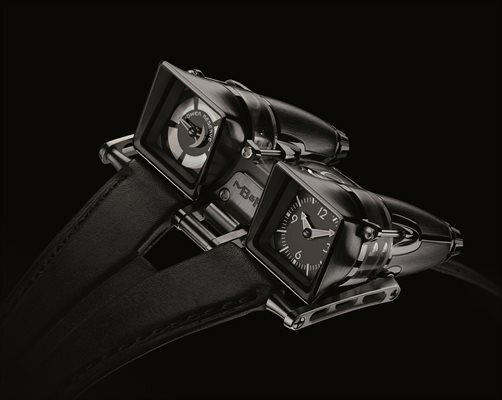 The Horological Machine No 4 final edition is a limited edition of 8 pieces in blackened titanium. 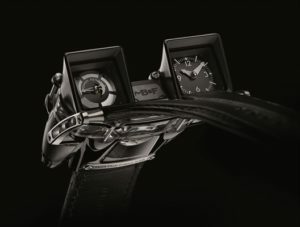 The manual winding movement with 72 hours power reserve is completely developed by MB&F. 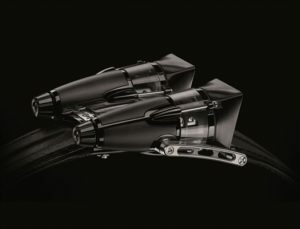 The case is made of Grade 5 titanium with dimensions of 54mm x 52mm x 24mm thick. Five sapphire crystals, two for the dials, one for the central case section and two for the display panels made this an intriguing piece.